Save Additional $155.70 When Paying With Bank Wire. You pay $5,034.30. 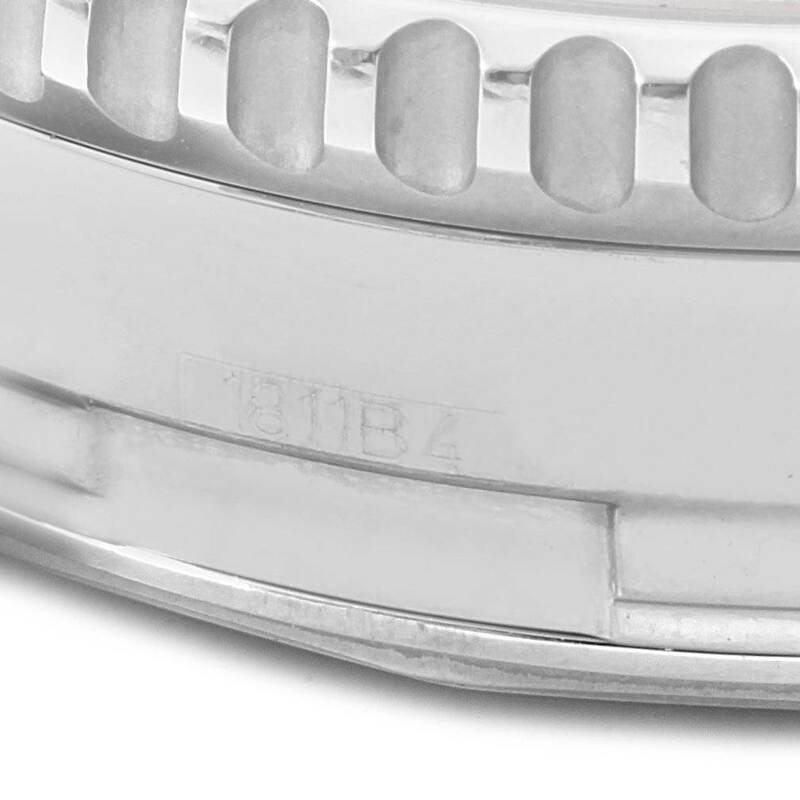 Stainless steel case 46 mm in diameter. Stainless steel screwed-down crown and pushers. 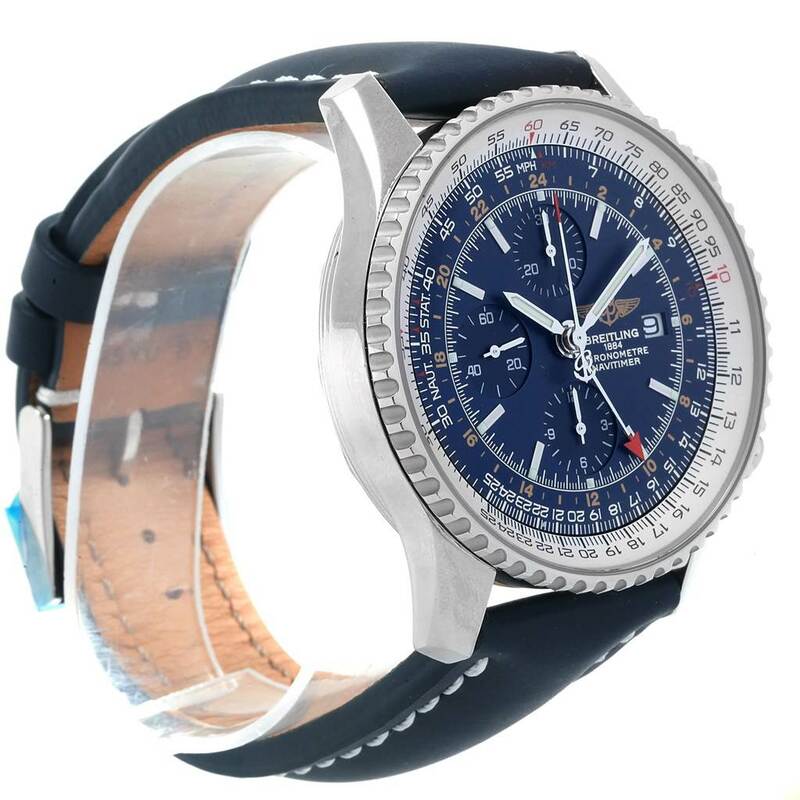 Stainless steel bidirectional revolving slide-rule bezel. 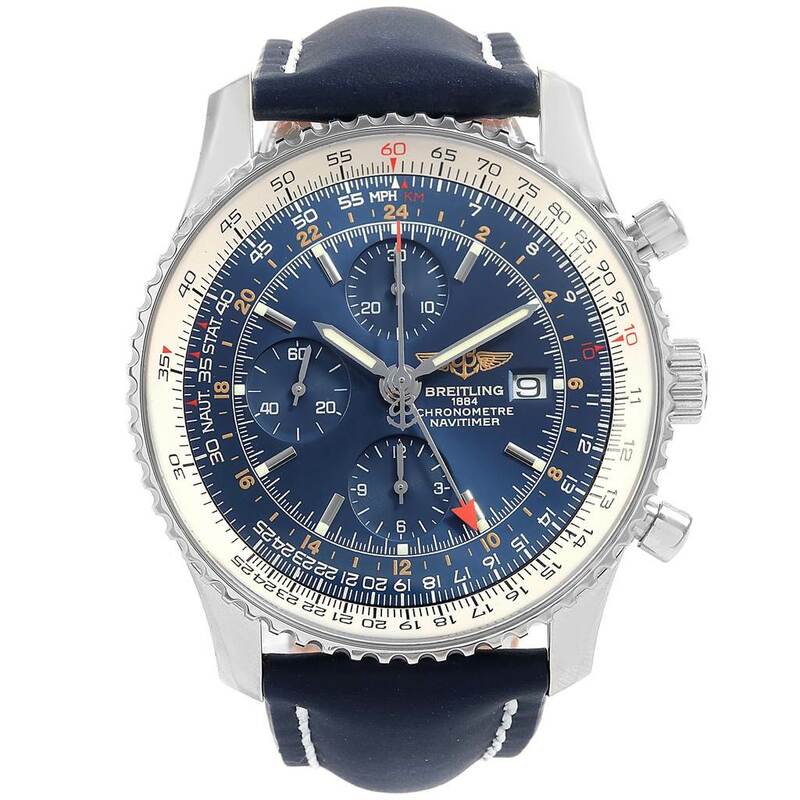 Blue dial with tachymeter scale. Index hour markers. Luminescent stainless steel outlined hands. 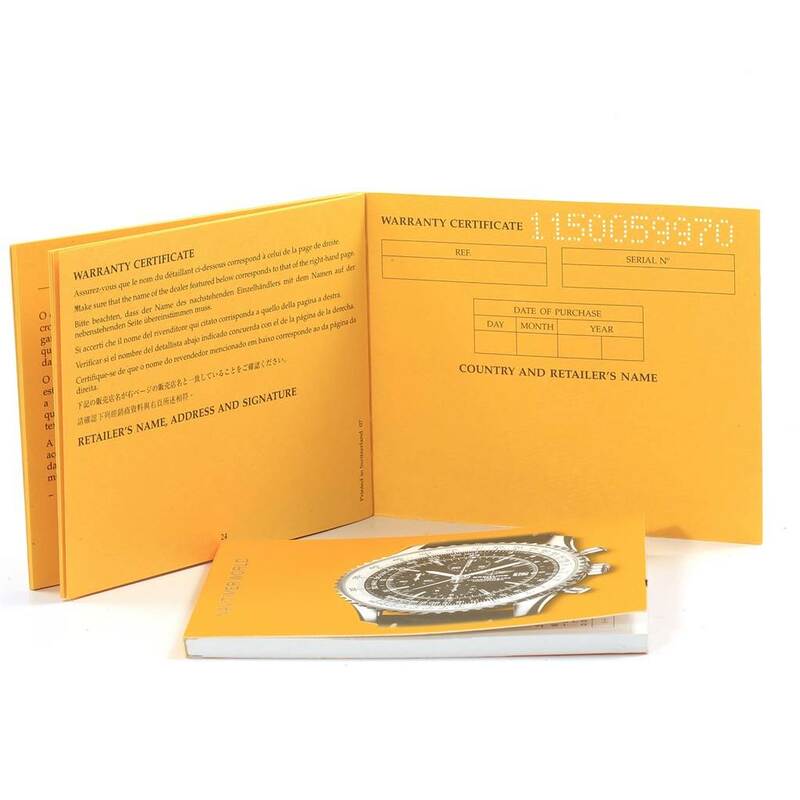 Stainless steel red tipped chronograph seconds hand and GMT hand. Date calendar window at 3. 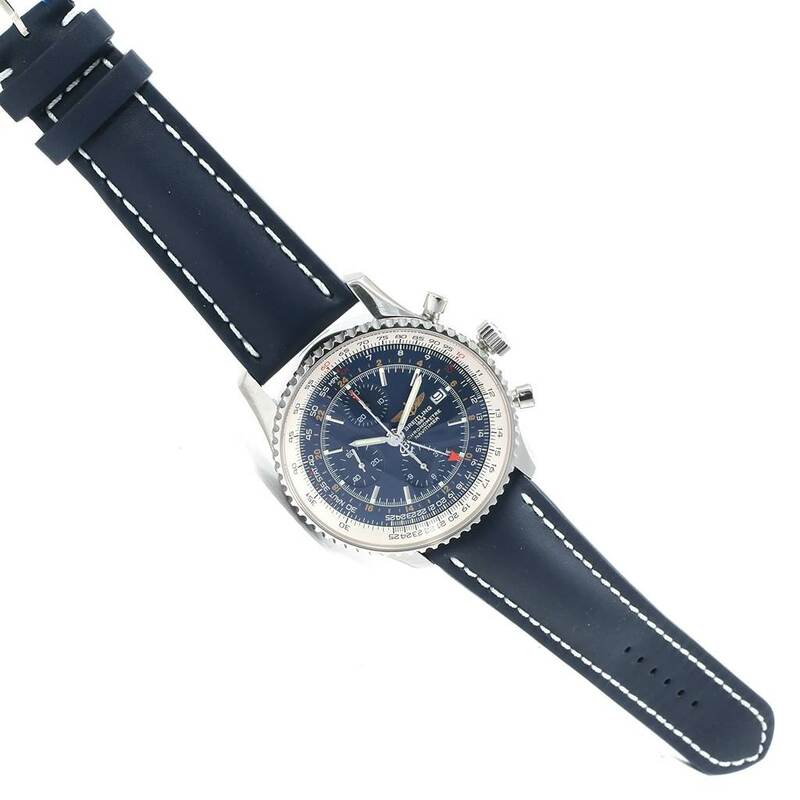 Blue leather strap with stainless steel tang buckle. 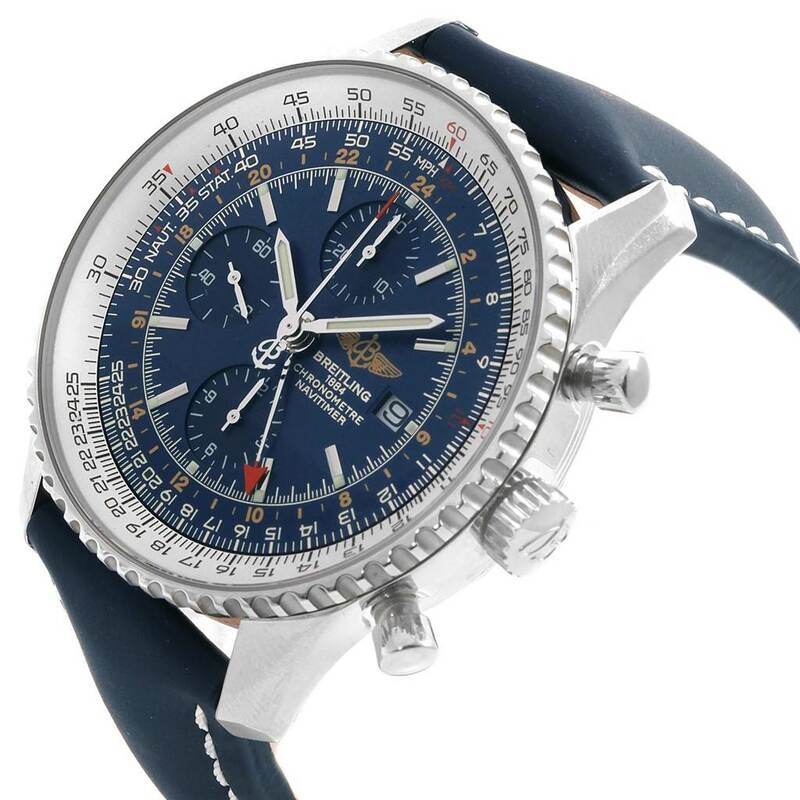 Breitling Navitimer World GMT Steel Blue Dial Strap Watch A24322. 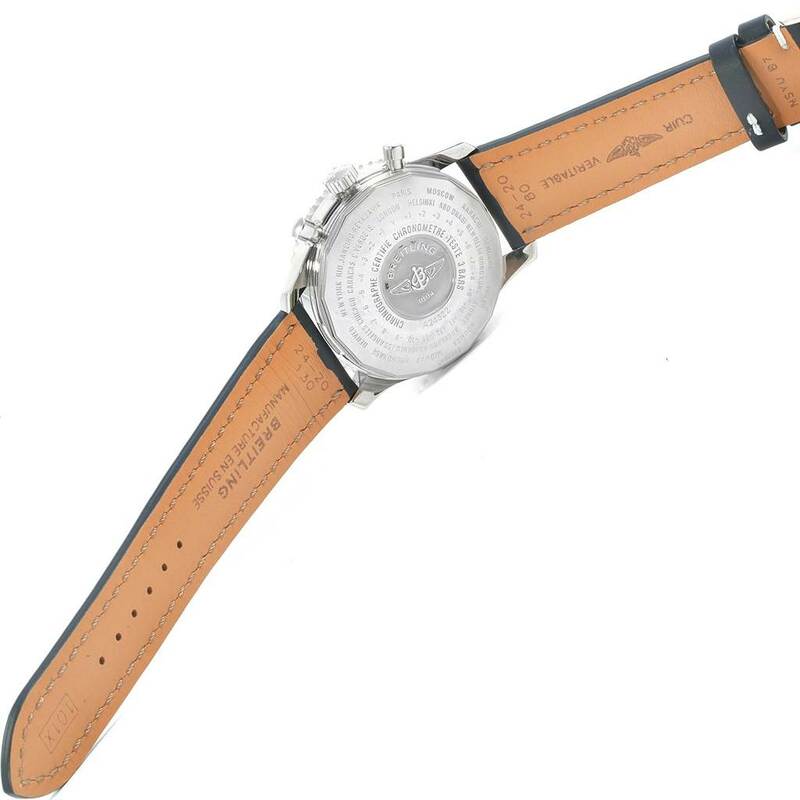 Automatic self-winding movement with chronograph function. Stainless steel case 46 mm in diameter. Stainless steel screwed-down crown and pushers. 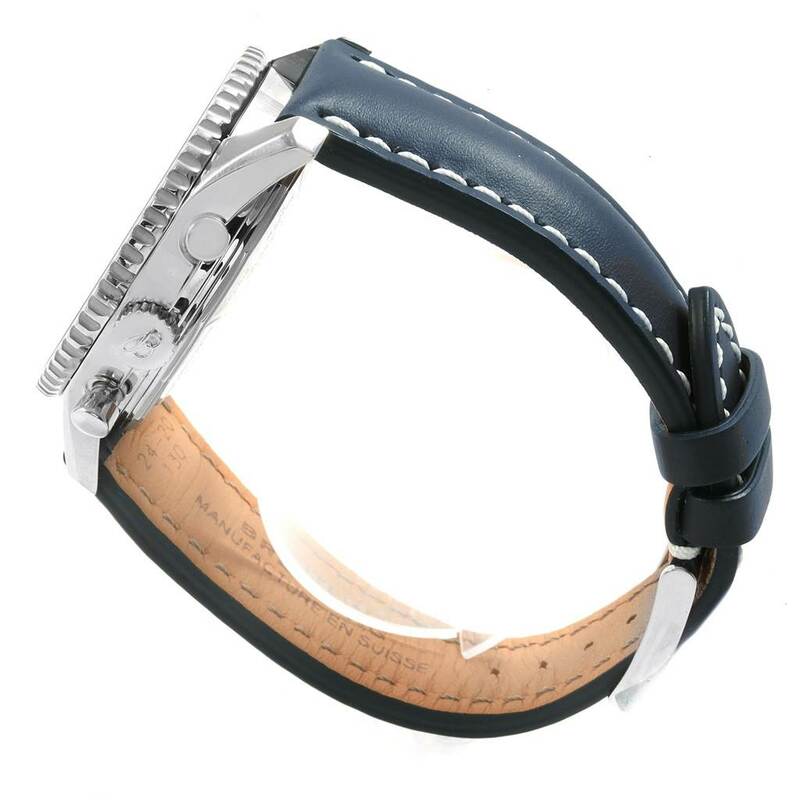 Stainless steel bidirectional revolving slide-rule bezel. Scratch resistant sapphire crystal. 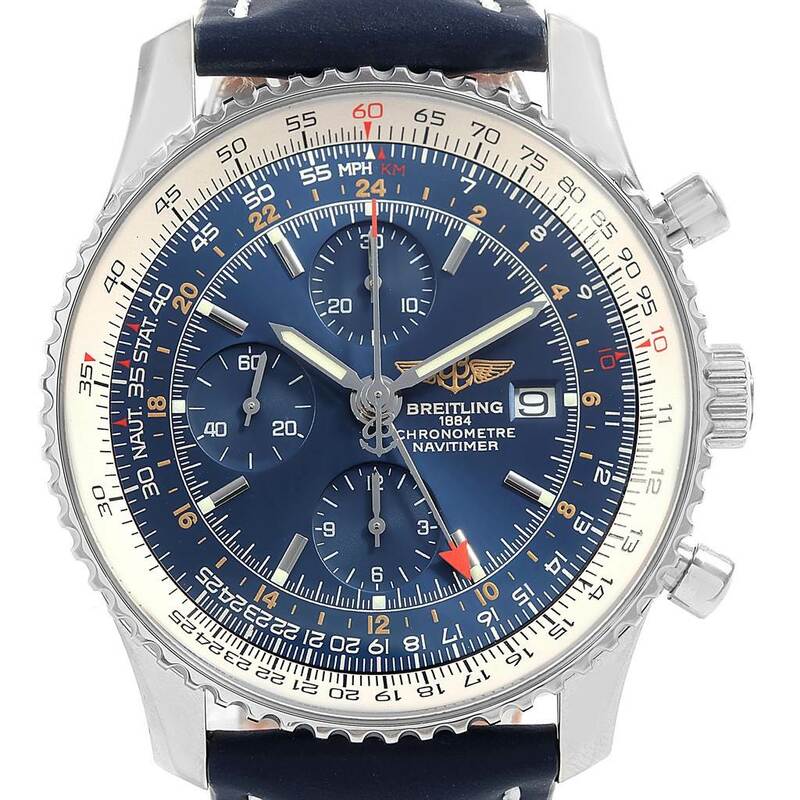 Blue dial with tachymeter scale. Index hour markers. Luminescent stainless steel outlined hands. 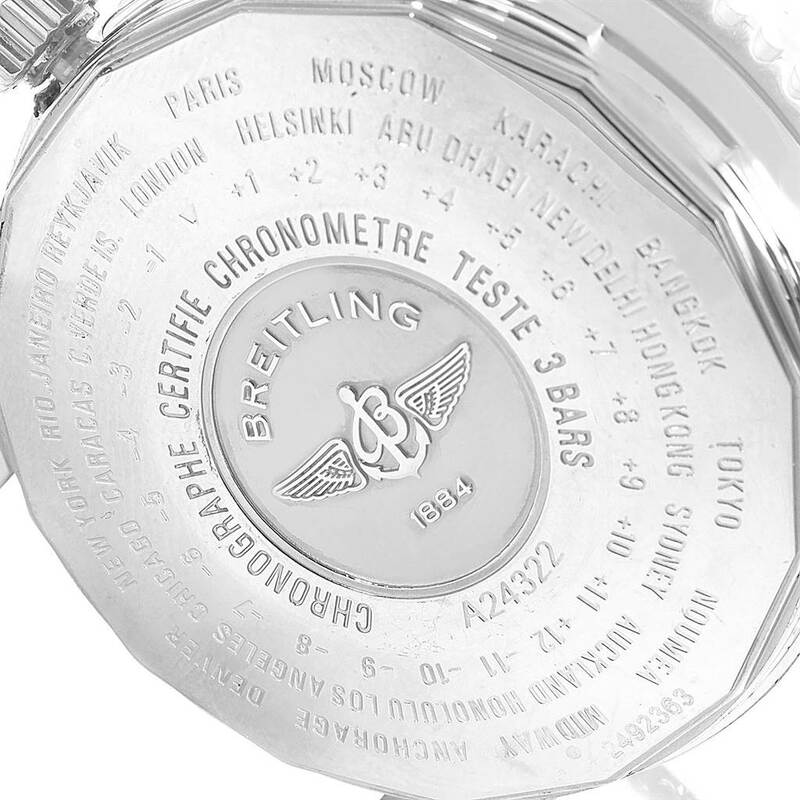 Stainless steel red tipped chronograph seconds hand and GMT hand. Date calendar window at 3. 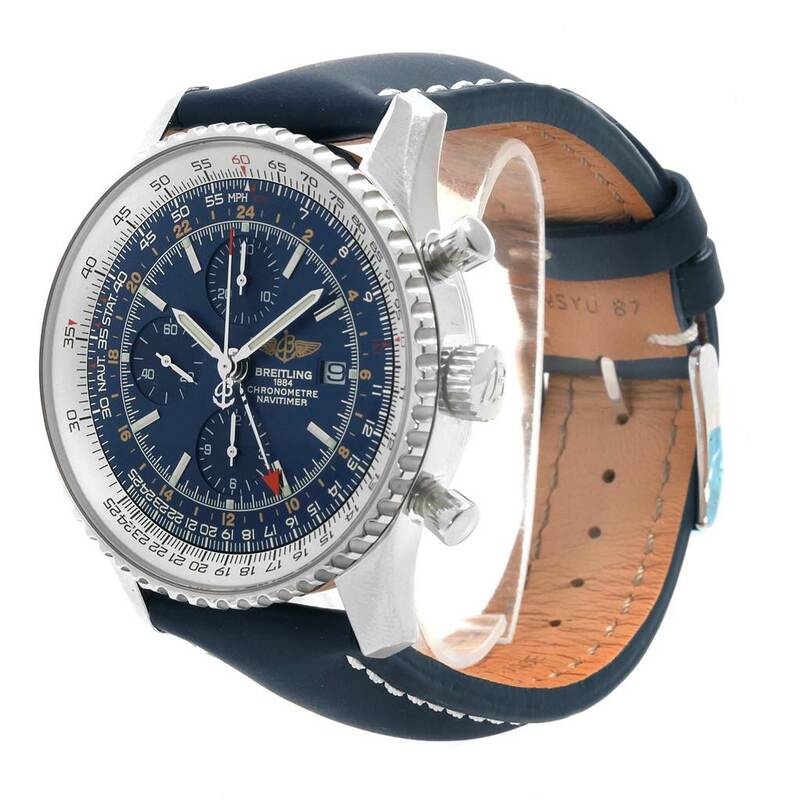 Blue leather strap with stainless steel tang buckle.